By Ethan Alpern, public affairs specialist, U.S. Geological Survey (www.usgs.gov), Reston, Va.
taken before and after storms. Hurricane season started again in June. Do you know what happens to U.S. coasts after these extreme storms? 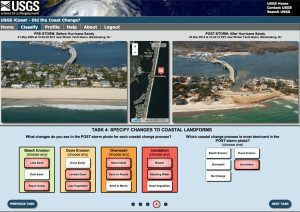 The U.S. Geological Survey (USGS) recently launched a new crowdsourcing application called “iCoast—Did the Coast Change?” to record and reveal coastal changes from extreme storms. iCoast allows citizen scientists to identify changes to the coast by comparing aerial photographs taken before and after storms. Crowdsourced data from iCoast will help USGS improve predictive models of coastal change and educate the public about the vulnerability of coastal communities to extreme storms. Since 1995, USGS has collected more than 140,000 aerial photographs of the Atlantic and Gulf coasts after 24 hurricanes and other extreme storms. Just for Hurricane Sandy alone, more than 9,000 aerial photographs were taken a week after the storm. USGS acquires high-resolution oblique aerial photography after extreme storms and compares them with imagery collected before the storms. These aerial photographs are taken at a low altitude to capture a small area of the coast. USGS collects aerial imagery to ground truth and improve its coastal change probability models. Without the personnel or capacity to analyze all the photographs taken after every storm, USGS decided to launch a citizen science project, asking citizens to help identify changes to the coast while gaining knowledge about coastal hazards. Analyzing the aerial photographs to identify storm damage will help coastal scientists refine their predictive models of coastal erosion and damage caused by extreme storms. Currently, these mathematical models are derived from dune elevation and predicted wave action during storms. Adding human observations will allow the scientists to validate the models and provide better predictions of damage before storms occur. Research on storm-induced coastal change hazards provides the data and modeling capabilities to allow USGS to identify areas of the U.S. coastline that are likely to experience extreme and potentially hazardous erosion during hurricanes or other extreme storms. • Beach erosion occurs when wave runup is confined to the beach. • Dune erosion occurs when the base or toe of the dune is eroded by waves and storm surge. • Overwash occurs when sand is transported and deposited landward over the beach and dune by waves and storm surge. • Inundation occurs when the beach and dune are completely and continuously submerged by storm surge and wave runup. There are scientific, technological and societal benefits to the iCoast project. 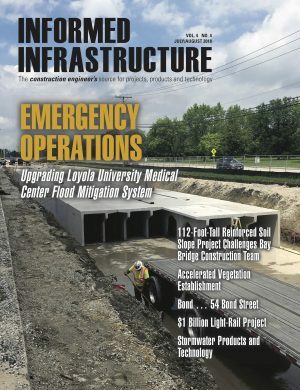 The crowdsourced data from iCoast will enhance predictive modeling of coastal erosion to better inform emergency managers, planners and residents of coastal vulnerabilities in their regions.